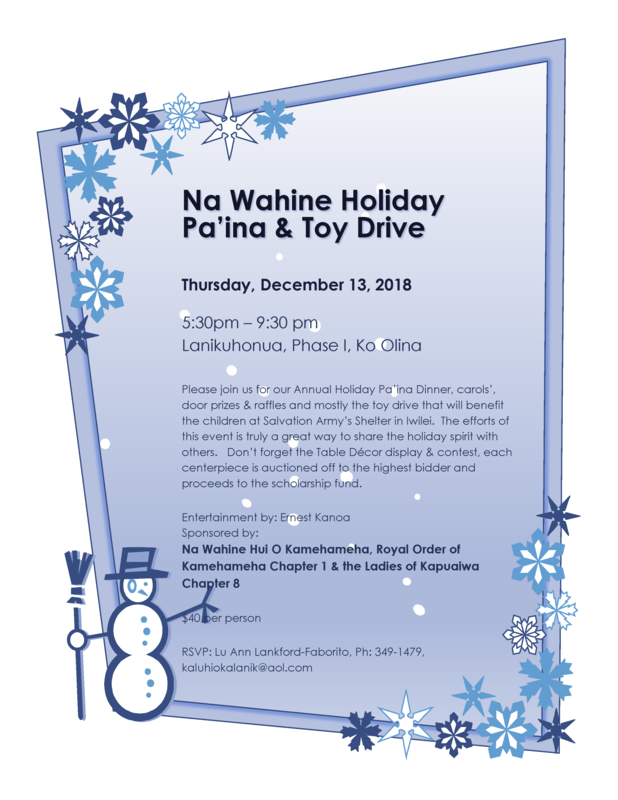 Please join us for our Annual Holiday Pa’ina Dinner, carols’, door prizes & raffles and mostly the toy drive that will benefit the children at Salvation Army’s Shelter in Iwilei. The efforts of this event is truly a great way to share the holiday spirit with others. Don’t forget the Table Décor display & contest, each centerpiece is auctioned off to the highest bidder and proceeds to the scholarship fund.